The author joined the U. S. Marine Corps Reserve in April, 1948 while a student at Baylor University. He was subsequently promoted to corporaland selected for the Platoon Leaders Class (PLC) program. This program consisted of two summers of Officer Candidate School training and an appointment to Second Lieutenant upon graduating from college. Washam graduated in May, 1951, received his appointment… to 2Lt in the U.S. Marine Corps Reserve and was immediately ordered to active duty. 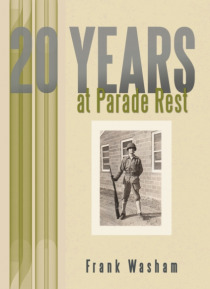 This book is a chronicle of his 20 years of active duty which included tours at various U.S. bases and overseas tours in Korea, Japan, three in Viet Nam, Hawaii, Okinawa, the Philippines, and the editerranean Sea. There were also shorter junkets to the Caribbean on training exercises and various humanitarian relief efforts.